The Hills and Ridges Doctrine states that “an owner or occupier of land is not liable for general slippery conditions, for to require that one’s walks be always free of ice and snow would be to impose an impossible burden in view of the climatic conditions in this hemisphere. Snow and ice upon a pavement create merely transient danger, and the only duty upon the property owner or tenant is to act within a reasonable time after notice to remove it when it is in a dangerous condition.” Gilligan v. Villanova University, 401 Pa.Super. 113, 116-117, 584 A.2d 1005, 1007 (1991). Call 814-452-6232 for a Free Consultation today! If a plaintiff cannot establish these things, he or she might not be entitled to a recovery. That said, there are a number of important exceptions to this doctrine that a skilled personal injury attorney can prove. Exceptions to Hills and Ridges. Every case is unique and there are a number of exceptions to the Hills and Ridges doctrine with which our attorneys are familair. For example, one such exception is that the Hills and Ridges doctrine only applies in cases where the snow and ice complained of are the result of an entirely natural accumulation, following a recent snowfall. In cases where ice is formed by a leaky gutter, for example, the ice is anything but natural. Our Erie, PA Personal Injury Lawyers can help. 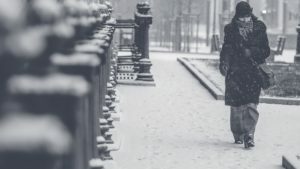 With our firm having its headquarters in Erie, Pennsylvania—one of the snowiest cities in the United States—we’re no stranger to cases involving slip and falls on ice and snow. Our Erie, PA Personal Injury lawyers have won significant verdicts after proving exceptions to the dreaded “Hills and Ridges” doctrine. If you have slipped and fallen on ice or snow, call our Pennsylvania Personal Injury Attorneys for a free consultation at 814-452-6232. Don’t try to fight the insurance company on your own.